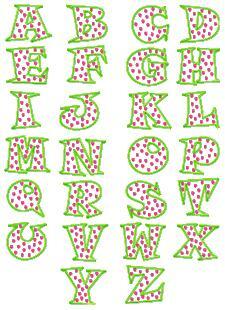 What a cute font, *POLKA DOT*! 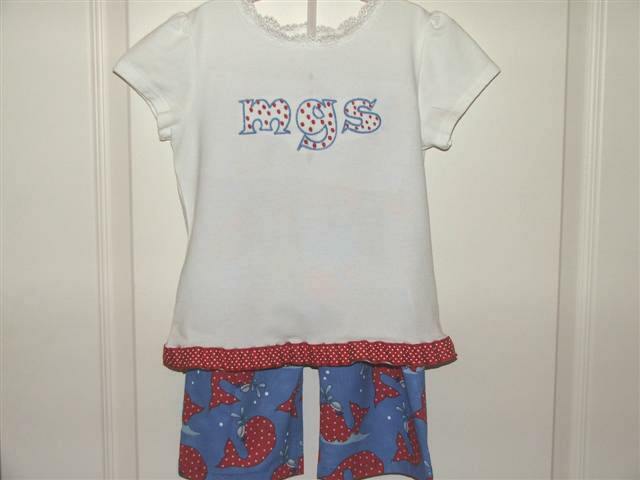 You will receive 2 sizes and 2 styles of this SUPER CUTE set, 2 inch and 4 inch heights (both fit the 4x4 hoop). You also receive 2 styles, applique and outline fill stitch. You will receive a total of 150 design files, perfect for many different applications. 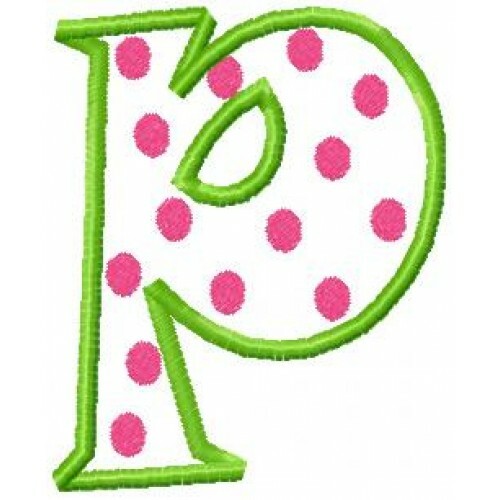 Can't you see these sweet monograms on a bib, diaper bag, teen's tote bag, etc.? Digitized with 2 colors, you pick the thread colors to coordinate with any project! 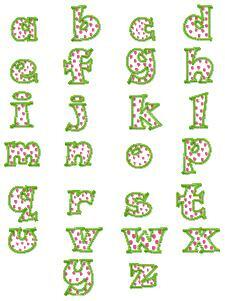 These ADORABLE letters stitch out very quickly.